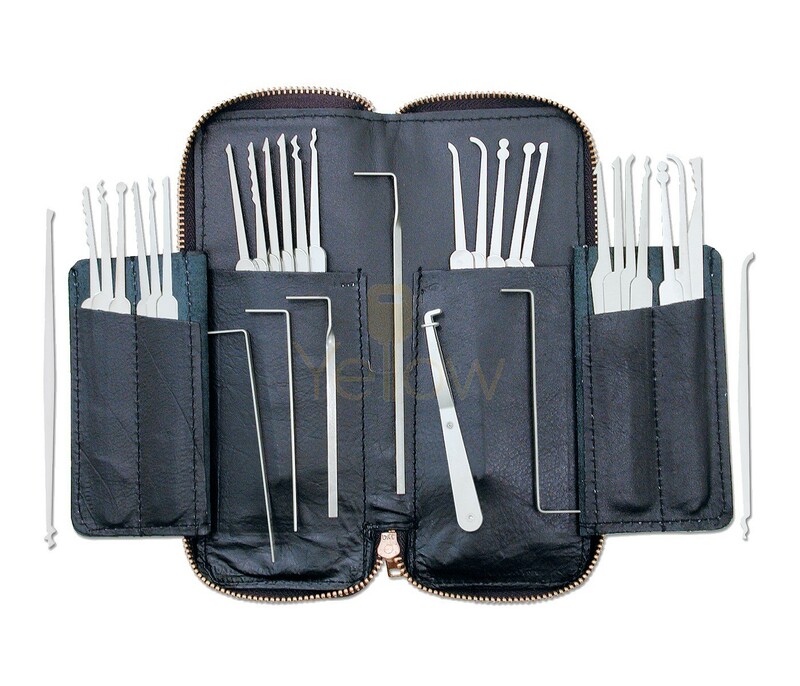 This large 32 Piece Pick Set includes: a variety of tempered stainless steel hooks, rakes, balls, diamonds, key extractors, and tension wrenches in a soft luggage quality zippered leather case. We use the newest high technology steels and construction methods. Each of our superior quality lock picking tools are made from tempered stainless steel, deburred and burnished to a soft luster. This rust proof, smooth and rivetless construction makes them the strongest most durable picks available.